You will learn modification of the poses with and without yoga props. We will teach you how to motivate and inspire your class through an enthusiastic approach. The appropriate pacing of a class according to students’ abilities is covered. The integrity of alignment and precision from our Iyengar-based techniques, and our graceful flow are emphasized, whilst demonstrating how to teach a safe and engaging class. Protection of the joints through corrective muscular movement creating maximum range of motion while stabilizing, elongating and expanding in the postures is of paramount importance to us. 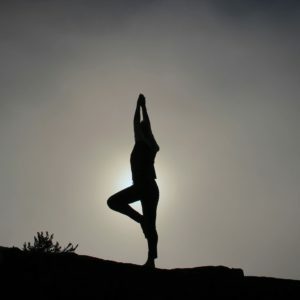 Yoga philosophy, Yoga lifestyle and ethics of a yoga teacher are covered. The eight limbs of yoga, pranayama, and meditation are introduced. 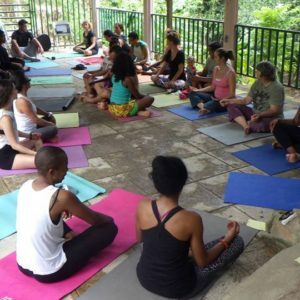 Yoga classes, practice teaching, quizzes, and reading assignments are included in the program. The principles of teaching demonstration, instruction, observation and adjustment are applied throughout the course. The qualities of a yoga teacher and the business of yoga are also introduced. Strategic learning and application of the teaching techniques are the foundation principles of our system. Anatomy is taught from a fundamental approach introducing the basic muscular system, skeletal structure, organ system and energetic’s. You will learn yoga postures as prescriptions for health and wellness. You will learn about chakras, chanting, mantras, and visualization and how to apply them to your daily lives. Through guest teachers different styles of yoga techniques are experienced, with oral and written reports submitted. Payment toward full tuition – refer to agreement.